I have lived in our beautiful desert area for over 16 years and have been a Realtor for the past 11 years. I have expertise in not only primary homes but also the secondary and luxury home market. My corporate background has given me a great understanding of the business world and has taught me many of the useful tools of marketing. I have used this education in working with my clients, being creative and innovative in helping them achieve their real estate dreams. Listening is the most important part of working with clients and once a property is identified, that is when my ability to remain calm, to be competent and to become a dedicated negotiator takes effect. Over my career I have been fortunate to have met many interesting and incredible people, clients who have become great friends over the years and who have referred me to their friends and family – the biggest compliment of all. 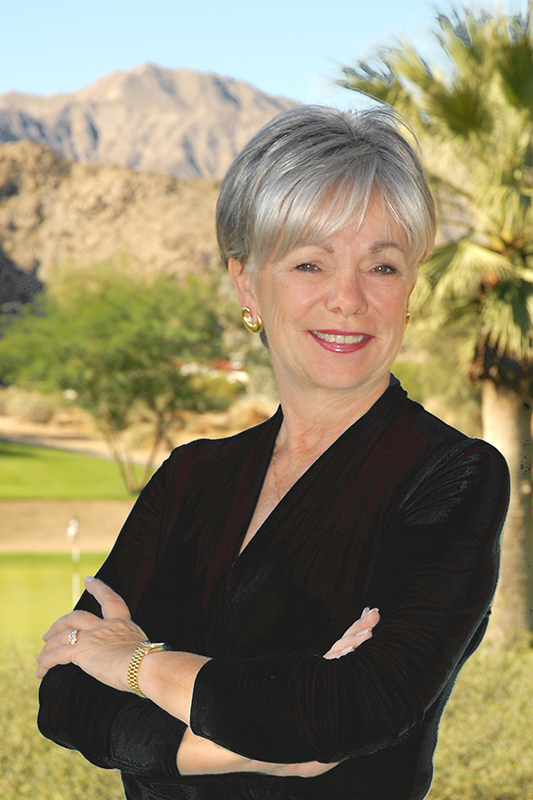 I am a member of the Desert Area Association of Realtors, California Association of Realtors, National Association of Realtors, and a Graduate of the Real Estate Institute (GRI Designation). I am happily married, love golf (even on bad days), happy to entertain at a moments notice, food and cooking are a minor passion (belong to a Gourmet club), and love spoiling our rescued cat, Mattie and rescued dog, Scooter. Our desert is beautiful, our weather is fabulous. This along with an abundance of golf courses, tennis clubs, hiking, biking, entertainment, and fine dining make this one of the top places in the world to live, play and retire. Their are many choices of places to live in our desert - La Quinta, Indian Wells, Palm Desert, Rancho Mirage, Cathedral City, Palm Springs and Indio. You need an expert to discuss the features and distinctions of each of these cities. Call me for your real estate needs, I will make sure this is one of the best phone calls you have ever made. Expect "Exceptional Service - Optimal Results"